I think I prefer the black in this, but its not all about me!! 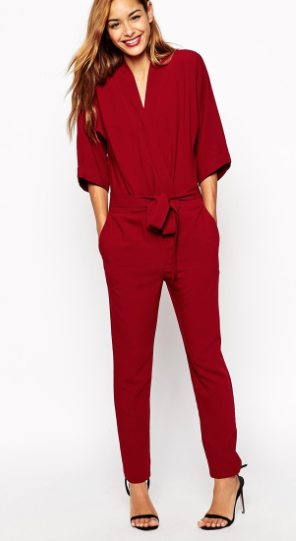 (*sigh*) so the pink is another option, this is €28 in forever21…forever21 is knocking it out of the park actually in the jumpsuit game…a lot of aces-high suits in there. COOLS. This is forever21 again and its €20.95 (ah c’MON) it also comes in black or white (don’t do it, DON’T). The teal rocks it for me on this one. €49.95 @ Zara. Good man. Very cool. Very relax-taxi. Very ‘oh, this old thing?’ €32 @ forever21. Shall we go out for a pint? Foxy. And that low back, sure you be in and out of the bathroom in no time. €49.95 @ Zara. And finally, my absolute favourite, what a find…I have ordered this (research for this blog is costing me money! ), I will be wearing it travelling on my family trip to Spain in July. I LOVE THIS. 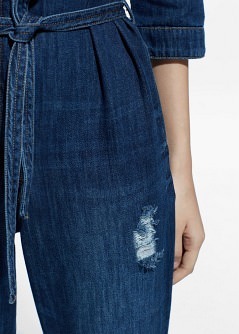 €44.95 @ Mango. This ends my presentation. Make your way out. Get a jumpsuit.